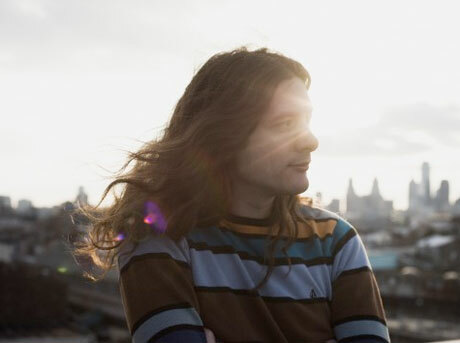 It's been a few months since Philly axe-man Kurt Vile revealed the giant mural that functions as the album cover for his latest LP, Wakin on a Pretty Daze, and now we've got the music to go along with that impressive image. The album arrives April 9 through Matador, and you can stream all of it here on Exclaim.ca. What's immediately striking about the record is the length of the songs; more than half of the 11 tracks clock in at over six minutes, with closer "Goldtone" extending past the 10-minute mark. "It was just the next logical step from making succinct pop songs," Vile tells Exclaim! in a recent interview. "What do you do after that? You make pop songs that are longer and more epic, that push the envelope. Imagine your favourite song, or something that you play over and over in the car, except that you don't have to start it over as much." These drawn-out songs feature lengthy lyric sheets and extended guitar jams, something that Vile says is a result of heavy touring. Epics like "Wakin on a Pretty Day" and "Girl Called Alex" never drag, and instead waft by with laid-back heartland rock grooves, swaths of reverb and Vile's lazy-sounding murmurs. The sprightly, drum loop-driven "Was All Talk" picks up the pace a bit, and the singer declares, "Making music is easy / Watch me." So is music actually easy for Vile? "Yeah, totally," he asserts. "['Was All Talk'] is the epic type of song that feels good to play, and with the other words, I think i was just ready to say that. It's charmingly cocky, but [I'm] also feeling it." This isn't to say that Vile doesn't labour over on his music. Despite the songs' loose, freewheeling sound, the songwriter says, "I keep working at them. It's not a slacker indie rock kind of thing. It's this style I've tapped into that ideally comes off laid-back." Some of the tracks came together in flurries of creativity, with collaborator Rob Laakso (from Vile's band the Violators) programming drum machines and Vile adding layers overtop. In some cases, live drums were overdubbed later. A few of the songs, however, came together in live-off-the-floor sessions with Warpaint drummer Stella Mozgawa. "The difference of playing live with a drummer versus the other way around is night and day for vibe reasons," Vile says of the session that produced "Girl Called Alex." He adds, "It made me sad we didn't do more live together, so I did fly her to New York later and she played live to 'Shame Chamber' and also 'Never Run Away.'" Not only is Wakin on a Pretty Daze sure to cement Vile's reputation as one of indie music's finest purveyors of druggy heartland rock, its album cover means that he has quite literally made his mark on Philadelphia's landscape. The huge painting was created by local street artist Steve Powers (aka ESPO), who has previously painted many sizable works near the city's train line. Of the Vile-themed mural, the songwriter says proudly, "Everybody who rides the 'L' sees it. It's so colourful. It's so cool to have my own mural, let alone [one] by a great artist." Listen to Wakin on a Pretty Daze over here at our Music/Video section, and check out all Vile's tour dates below. 5/16 New York, NY – Bowery Ballroom * ! 5/17 Boston, MA – The Sinclair * ! 5/18 Philadelphia, PA – Union Transfer * !